‘Twas the night he came home…..again. 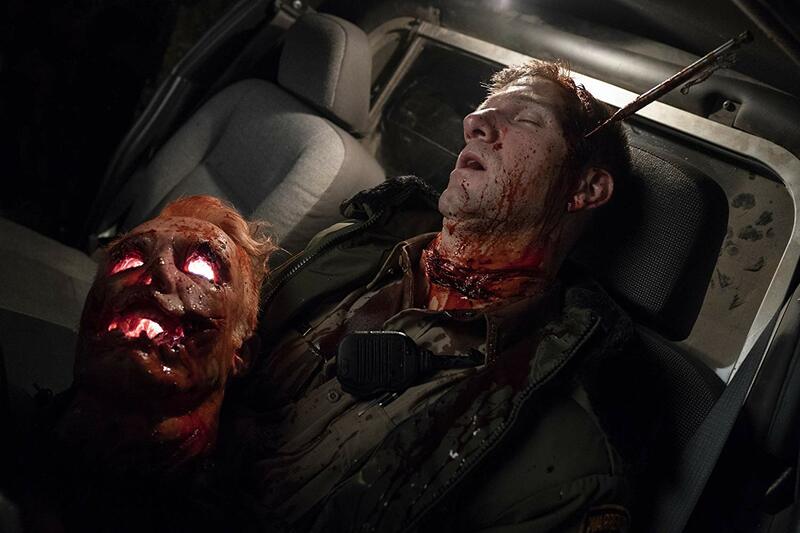 Yes, Michael Myers is back – party time, excellent! And so is Jamie Lee Curtis’ Laurie Strode. It’s one big, unhappy family ready to celebrate the holiday, and slasher movie franchise that is Halloween. Well, actually, they’re not family anymore, thanks to a retcon that disavows all the many sequels that took place after the original John Carpenter classic in 1978. Again, going by the title, Halloween, but we’ll refer to it as Halloween 2018, this new edition looks to reclaim the time of ghouls and goblins as its own and perhaps sharpen the daggers of the slasher film once again. Halloween 2018 serves as a direct sequel to the original, taking place 40 years later. Serial killer, Michael Myers, who terrorized the town of Haddonfield, Illinois that fateful night, has been locked away in a mental institution ever since, speaking not a word, despite the efforts of Dr. Sartain, a protege of Dr. Loomis, Michael’s original psychiatrist. When a pair of investigative journalists who host a podcast that focuses on infamous crimes pay him a visit, hoping to learn what makes him tick, they manage to reignite his desire to kill, and after escaping during a prison transport, he does just that, slicing and dicing his way back to the town where it all started. But someone has been waiting all this time, and is ready. One Laurie Strode, the babysitter who survived the massacre four decades earlier, has been training, target shooting and fortressing her home in preparation for this very day, looking to put an end once and for all to the masked murderer who set her life on a different path. And this time she’s not alone, as her daughter, and granddaughter have become targets as well. Does Laurie have what it takes to take down this seemingly unstoppable and inhuman monster yet again? When John Carpenter’s Halloween opened in October of 1978, it was a game changer for horror, ushering in a new era of slasher films, holiday-themed serial killer movies and the rise of the scream queen. 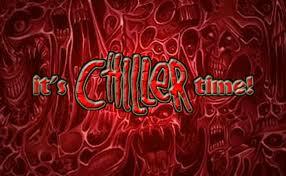 Jamie Lee Curtis went on to star in the sequel, Halloween II, Prom Night and Terror Train. Other movies, like The Burning, Happy Birthday to Me and My Bloody Valentine followed in the wake of Halloween, direct descendants, along with another influential slasher film, 1980’s Friday the 13th, which upped the ante when it came to number of kills, and utilizing the rise of the special make-up f/x artist, creative ones at that. (We’d be remiss if we didn’t mention Mario Bava’s 1971 slasher, Bay of Blood, aka, Twitch of the Death Nerve, as the forefather to all of these, along with Tobe Hooper’s 1974 classic, The Texas Chainsaw Massacre, for introducing ‘the final girl, ‘ the heroine who survives to the end of the horror film to take on the killer.) Halloween, like Chainsaw, had immediately gained a notoriety for being a blood-soaked gorefest, but both films spilled nary an ounce of the red stuff, instead relying on suspense, dread and terror for its chills and thrills. 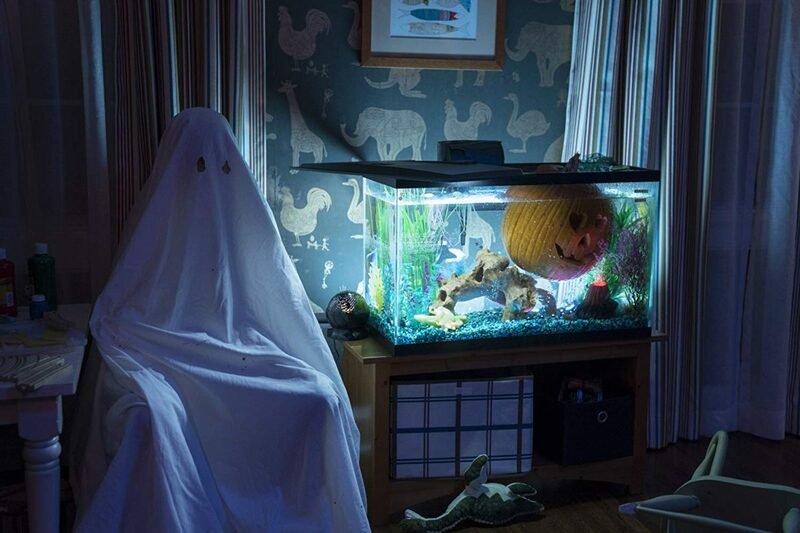 This new Halloween is a bit different in that respect. Much like Rob Zombie did with his Halloween reboot in 2007, which looked to explain the history and motivation for Michael Myers’ thirst for killing, this new Halloween ups the gore quotient, with throats slashed and heads bashed, which is probably necessary to jolt today’s more jaded audiences. In the first Halloween, Michael only killed five people. Here, he’s much more prolific. Michael is a brutal serial killer, seemingly with no empathy or remorse, and so it makes sense to show that on screen. While his doctors have tried to get into his head and under his skin, no one has managed to explain why he is compelled to do what he does, which makes him that much more mysterious and sinister. How do you stop someone when you can’t figure out why he is going in the first place? It’s what sets Michael Myers apart from so many other killers, who often had their deadly seeds planted when wronged as a youth. That said, by making Michael a basic killer who just kills people for no reason, the films he is featured in, including this one, don’t delve deeper into things like religion or the supernatural that might give them more weight. These are primarily meant to be roller-coaster rides, albeit fun-filled ones with plenty of screams. 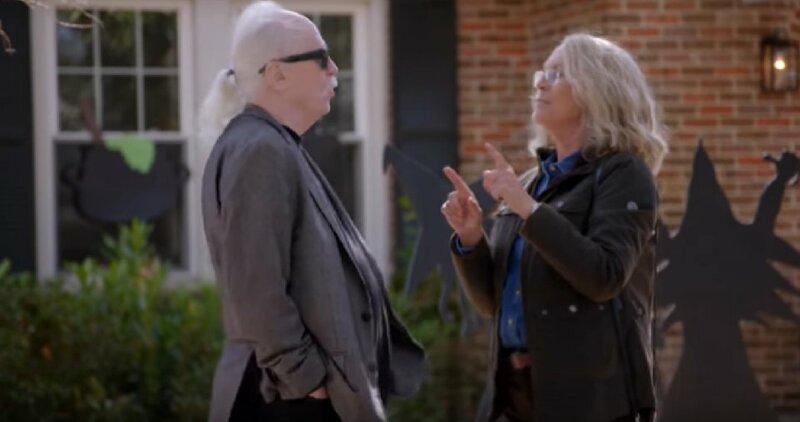 Now, what gives this new Halloween a big chunk of its credibility and has fans so excited is the return of not only Jamie Lee Curtis in her role as Laurie Strode, but the master of horror himself, John Carpenter, as an executive producer, but also as a composer of the film’s music. It was his original, keyboard-driven themes for the ’78 film that were so integral to its success. For the new movie, he is joined by son, Cody Carpenter on keyboards, and godson, Daniel Davies on guitar, who both also tour with him on the road, performing Carpenter’s classic tracks from his films, along with a few new compositions. (Check out our review of a past show in NYC.) They’ve managed to twerk the original score’s themes while still keeping their familiar iconic sound intact. Director David Gordon Green proves adept at bringing Michael and Laurie back to the big screen, and while he keeps the action and suspense moving, he doesn’t possess Carpenter’s style and skill. Gone are the long tracking steadicam shots and point of views from the killer that added so much to the original. What is back, or rather who, is Nick Castle, who portrayed Michael, aka The Shape, in the original. Here, he shares duties with stuntman, James Jude Courtney. It really is cool, and a nice nod, to have Castle reprise his infamous character. But there are also some interesting new aspects brought to this follow-up. There is certainly a strong nostalgia factor in play with Jamie Lee Curtis’ return to the role that made her famous. While her teen Laurie in the original was more of a damsel in distress, she still possessed the wherewithall to protect the kids she was in charge of, and fight back against her attacker when necessary. She did survive after all. Now, though, 40 years later, she is a much different person, a hardened, seasoned warrior who knew this day would come and has come ready for it. Now, all that planning and practicing has cost her a great deal, primarily relationships with her daughter, Karen (Judy Greer), and granddaughter, Allyson (Andi Matichak). 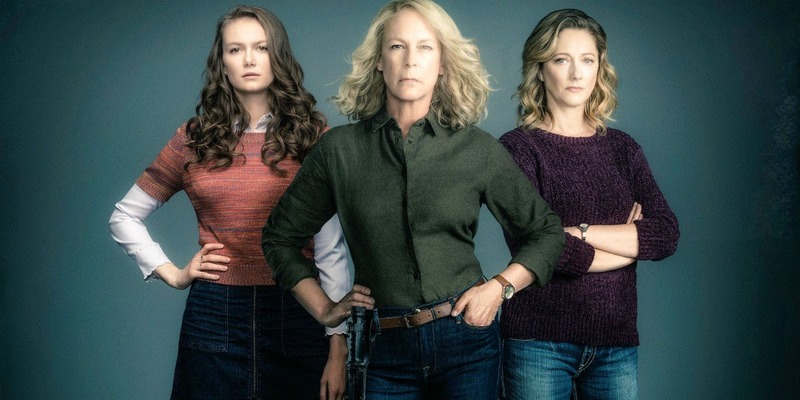 It’s quite a compelling concept to pit three generations of women against a relentless killing machine, three generations of final girls, if you will. Matichak essentially takes on the role of Curtis’ in this, serving as the lead protagonist who sees her friends attacked one by one, while trying to convince her grandmother to let Michael go and get on with life. She makes for a charismatic lead in taking up the reins of her predecessor. This Halloween proves once again that while horror films have often been maligned for being misogynistic, it’s rather just the opposite, as they so often empower women to fight back against their aggressors. And it’s part of why horror films remain so popular with female audiences today. OK, so with regards to retrofitting this Halloween within the entire franchise, here’s the deal. As mentioned earlier, gone are the many sequels, where we learned Laurie was actually Michael’s sister, where Laurie’s daughter, Jamie (a young Danielle Harris, who has since gone on to become a Scream Queen herself, even appearing in Zombie’s Halloweens) becomes a target, and where Dr. Loomis (the inimitable Donald Pleasance) continued his quest to take down Myers for good, since he is pure evil. (There is a sly and clever reference to what amounts to rumors regarding Michael’s lineage.) While all these sequels are gone when it comes to Halloween 2018, they are certainly not forgotten, as they can still be enjoyed on their own, in a sort of different timeline sort of vein, like Abrams’ Star Trek films. It was probably wise for Green, along with co-writers, Danny McBride (yes, that Danny McBride, of Eastbound and Down, and also last year’s Alien: Covenant) and Jeff Fradley, to eschew everything that followed the original, as they became more convoluted with regards to any linear timeline, and with some characters having been killed off and then coming back to life. 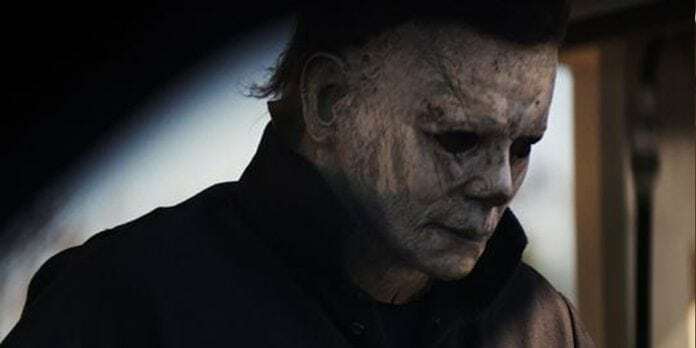 Making this Halloween a direct sequel to the original, albeit 40 years later, works by returning Michael to what he was in the beginning, a murderer without a motive, at least none that can be determined. As Dr. Sartain states in the movie, quoting Dr. Loomis, “Death is the only solution for Michael. It needs to die.” While that may be the case, this franchise, which has already seen enormous success, doesn’t look to be ending anytime soon. Because you just can’t keep a good serial killer down.